Indian Butter Chicken recipe (aka Murg Makhani) is one of the best known and recognized chicken recipes in the world. Originating from the period of the Mughal Empire, it has survived through the ages and continues to grow in popularity due to it's rich and flavorful gravy. It is said that the modern version of the Butter Chicken recipe was invented by a person working in the kitchen of the famous Moti Mahal restaurant in Dehli. 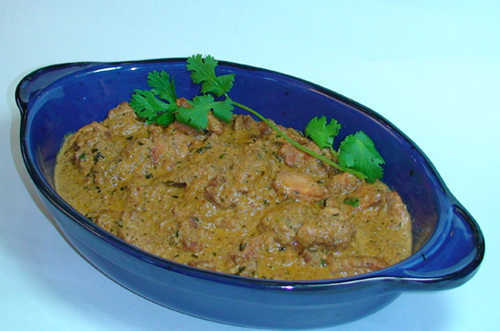 Butter Chicken is usually served with parathas, naan, roti, or steamed rice. It can be tailored to fit any taste bud (mild or spicy). The taste generally varies from restaurant to restaurant. Try the Show Me The Curry version.